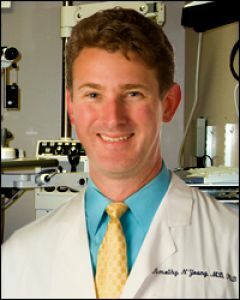 Dr. Young is pleased to be a part of the premier eye surgery practice in East Texas, Lehmann Eye Center. He established a reputation as a leading provider of state-of-the-art eye surgery, including cataract, refractive and glaucoma surgery. Dr. Young has performed thousands of lens and corneal procedures, including blade-free LASIK with IntraLase, presbyopic lens implants such as ReSTOR® and toric implants for astigmatism. 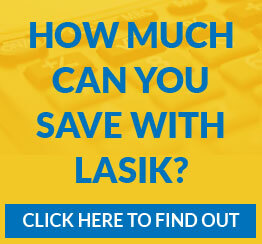 He was among the first surgeons in Texas to offer LenSx laser cataract surgery and was also a pioneer in bringing minimally invasive canaloplasty surgery for glaucoma to our East Texas patients. Known for careful attention to detail and compassionate care of each individual, Dr. Young seeks to discover and deliver the best possible vision outcomes for his patients. He is actively involved in clinical research seeking to find new medical and surgical treatments for eye disorders and is a frequent speaker on varied ophthalmologic topics. Outside of his professional life, he enjoys running and triathlon activities, coaching youth cross country and track, being active in the community and his church, and spending time with his wife, Kelly, and four children.